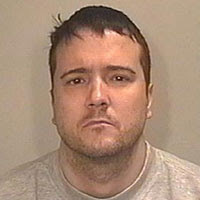 Steven Griffiths was told by the judge that he would never be released. But Griffiths knew the judge would say that because Griffiths was working on his PhD in Criminology. There were many things Griffiths knew, but he found his own motive hard to find. The motives he did give sounded like they were recited from one of his text books. I once sat next to a senior psychologist at a dinner party. I asked him why people end up doing the most horrendous things. He turned to me and said, "Sin." I was expecting more, something about dysfunction, about pathology, about genetic disposition, but that was all he said. Sin. It strikes me that Steven Griffiths hates what he does not understand. He is misanthropic without any knowledge of anthropos. To understand human nature, one has to understand it within the context of its story. Human nature is created and it is fallen. It bears both the image of God and the stain of iniquity. The reason it is wrong to murder those women is because they bear the image of their creator. The reason Steven Griffiths murdered them is the same reason the psychiatrist gave - sin. Western culture has largely rejected the Judeo-Christian narrative. Consequently, it struggles to articulate a coherent view of human nature. Is it a piece of matter in motion (Hobbes), a rational being (Descartes), a passionate beast (Rouseau)? Existentialists told us that we should decide our own nature, that existence precedes it. Postmoderns think that this nature is determined by cultural or genetic forces. By subtle adjustments to our concept of human nature--devoid of God, detached from any discernible story, denuded of absolute moral value--we render ourselves living voids, dead ends on a meaningless journey. The importance of the Christian story is its commitment to a real human nature, dependent on its creator, endowed with value derived from God himself. It is also decidedly fallen, capable of great evil, in need of equally great salvation.It is for this reason that God took up human nature in Christ. He was en-fleshed, embodied, incarnated. This is our hope for salvation: God affirms his image bearers by joining us in our nature; he redeems us by taking up our death in his own death and he gives us hope in his resurrection, a hope that all will be made new in a new creation devoid of all evil. 2 Charles Baxter, "Last Year at the Crypt," The New York Review of Books, November 2010: 24. 3 Slavoj Zizek, The Puppet and the Dwarf: The Perverse Core of Christianity (Cambridge: Massachusetts Institute of Technology, 2003), 56.